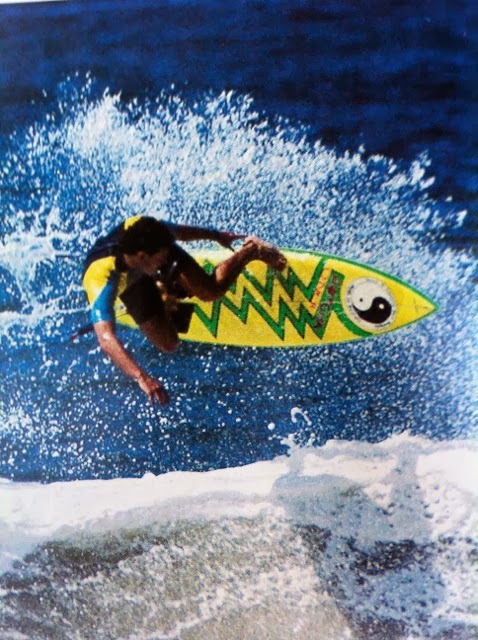 : Board Collector: Decades- Martin Potter's T&C twin fin. Decades- Martin Potter's T&C twin fin. "To keep things fresh and challenging, you need to ride different boards." 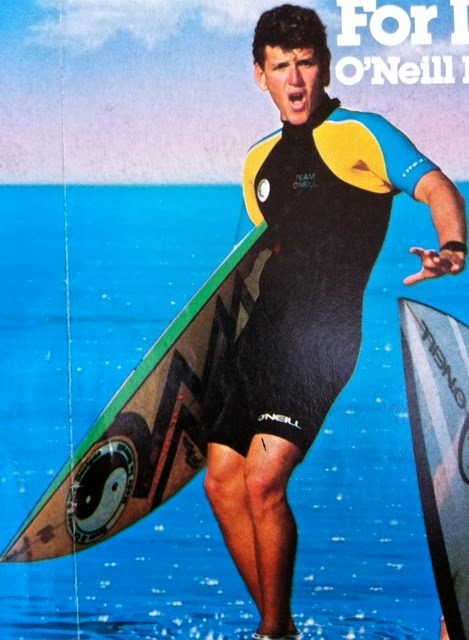 Dennis shared with me the link to the interesting Red Bull series 'Decades', where they get the original shapers to make reproductions of classic designs and have a boat load of young contemporary surfers test ride and evaluate the features of the design. I'm told that this nice example of an 80's T&C was one of Martin Potters personal riders. Its interesting to note that he did most of his pioneering ariel work on twin fins. The video has promoted me to share some pics of my 5'10" Hawaiian made T&C 'team' thruster. I took it for a test run on a cool Californian day. I do love the cliff trails and empty beaches of Socal in winter. Well that looks like fun. Judging by the color of the water Matin's early 80's arial could have happened somewhere nearby. the old 1 - 2! fast and loose as one would expect. That's such cool picture. I love that green board of yours. Brothers Nielsen single fin pin tail.